The article is devoted to the problem of diagnosing the limiting state of the milling process based on the Poincaré stroboscopic mapping. A method based on a contactless measurement of the distance between the cutter body and the measuring transducer is proposed. In this case, a sequence constructed on the basis of the Poincaré stroboscopic mapping is used, for which statistical estimates to determine the roughness, ripple, and mathematical expectation of the size over the entire treated surface are given. The results of the experiment made it possible to obtain effective algorithms for processing information, which, in the course of cutting, allow us to evaluate the limiting states of the process for obtaining information on the replacement of the tool and its readjustment. The dependencies obtained in the work as a whole coincides with the realistic approach to the estimation of the dynamics of milling processes occurring in metal-cutting machines. According to this approach, it is possible to provide unchanged values of the microroughness height due to the redistribution of the geometric component of the roughness determined by the feed, and the evolutionary component that depends on the trajectory of work and the power of irreversible transformations in the cutting zone. 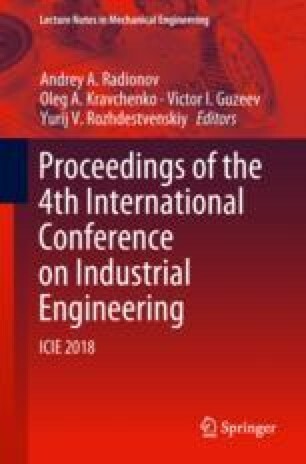 I express my gratitude to my scientific supervisor Zakovorotniy Vilor Lavrentievich for valuable advice in the planning of research and recommendations on the design of the article.